The Library’s Fall fundraiser will be a lunch event at 11 a.m. – 2 p.m. on Thursday, October 30, in the Library Events Area. For $5 (cash or checks made payable to CASA), you’ll get a bowl of chili (regular or vegetarian), peanut butter sandwich (jam will be available), a dessert item, and tea or lemonade. Proceeds will go to C.A.S.A (Court Appointed Special Advocates), a national program with a local office for Vigo County. The mission of CASA is to speak for the best interests of abused & neglected children in the juvenile court system. Vigo County CASA works with other local & state CASA programs as well as other area agencies to promote and support quality volunteer advocacy to help assure each child a safe, permanent, and nurturing home. 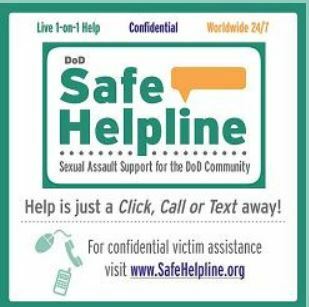 For more information about this organization, go to: http://www.vigocounty.in.gov/department/?fDD=38-0, http://www.vigocountycasa.com/ and/or http://www.casaforchildren.org/ . For more information on the event, contact Christi Reinig. 9-9:50 am Research on the Importance of Managers in Attracting and Retaining Workers Across the Generations, Dr. Barbara Eversole, Associate Professor of Human Resource Development, Human Resource Development and Performance Technologies Department, ISU. 12:30 – 1:45 pm Valuable Retention Tools: Unpaid Leave and the FMLA, Kim Campbell, Rose-Hulman Institute of Technology, and Margaret Mary Welch, ISU Benefits. Service for Sight has been the Delta Gamma philanthropy since 1936 that helps to support those who have visual impairments. Delta Gamma has founded four schools for the visually impaired and the money raised for the philanthropy goes to support those four schools as well as to help aid adults and children who are blind or visually impaired. Humanitarian aid worker Carl Wilkens will share his story as the only American to remain in Rwanda after genocide began when he presents at Indiana State University. Wilkens’ presentation is scheduled for 5-6:30 p.m. Oct. 24 in the Library Events Area (1st floor, Cunningham Memorial Library). The presentation is free and open to the public. Wilkens will recount when genocide broke out in Rwanda in April 1994, four years after he and his family moved to the country. Sponsored by the Office of Diversity and the Asian and Pacific Islander Faculty and Staff Council, Wilkins’ will share his account of the mass slaughter of Tutsu and moderate Hutu in Rwanda by members of the Hutu majority that resulted in the deaths of up to an estimated 1 million Rwandans – as much as 20 percent of the country’s total population. As violence rang out, Wilkens sent his family back to the U.S. for their safety, but he refused to leave. Instead, he remained in Rwanda to distribute food, water and medicine to orphans who were unable to escape the violence. In 1996, after the genocide subsided, Wilkens returned to the U.S., where he now dedicates his time to traveling across the country and sharing with students his firsthand count of genocide in Rwanda. When genocide in Darfur appeared to be never-ending in January 2008, Wilkens and his wife formed World Outside My Shoes – an educational nonprofit that works to inspire people to stand up against genocide, racism and intolerance.In 2011, Wilkens released his first book, “I’m Not Leaving,” which he based on material from the tape recordings he made to his wife and children that recount Rwanda’s genocide in real-time. Yong Joon Park, associate professor of elementary, early and special education in the Bayh College of Education, was instrumental in bringing Wilkens to campus. After being selected as one of 13 recipients for the Carl Wilkens Fellowship in 2014, Park attended a retreat this summer where he met Wilkens. Park said Wilkens’ presentation is professional and explains the violence he witnessed, using images from his time in Rwanda. Ms. Arvin’s research describes how the multiplicity of names that rare and emerging diseases are called complicates research on these diseases. Using spinal and bulbar muscular atrophy as an example, she demonstrates how terminological inconsistencies adversely affect database retrievals and can cause investigators to miss pertinent research. Shelley has continued to explore this problem and is in the process of writing a follow up to her original article. There will be the research and creative projects conducted by Sycamores during the 10 week “research and creative experiences for undergraduates.” This is the first time CSRC has attempted an Exposium in the Fall. Posters and exhibits from students doing Art, Biology, Chemistry, Physics, Political Science, Sustainability, and Software Design will be displayed. Brian Bunnett (Public Services Department Chair), Principal Investigator, and Dr. Dorene Hojnicki, Investigator and Director of the Vigo County Emergency Management Agency, recently received a grant of $23,000 from the National Library of Medicine to determine if librarians have a role to play in disaster management and emergency response. In the initial phase of the project, the PI will participate in meetings of local disaster management agencies to determine local emergency response training and information needs. This is expected to be followed by training sessions and by the establishment of a disaster management reference service based at the Cunningham Memorial Library. $9,000 worth of disaster management information resources will be purchased for the library through the grant. The project will also explore if librarians can play a coordinating role in organizing local emergency response/disaster management agencies. The first training session took place on September 29 at Ivy Tech in preparation for the Mass Casualty Incident (MCI) simulation that occurred on October 2. The PI will next participate in a disaster simulation, with students from ISU’s College of Nursing, on October 24. 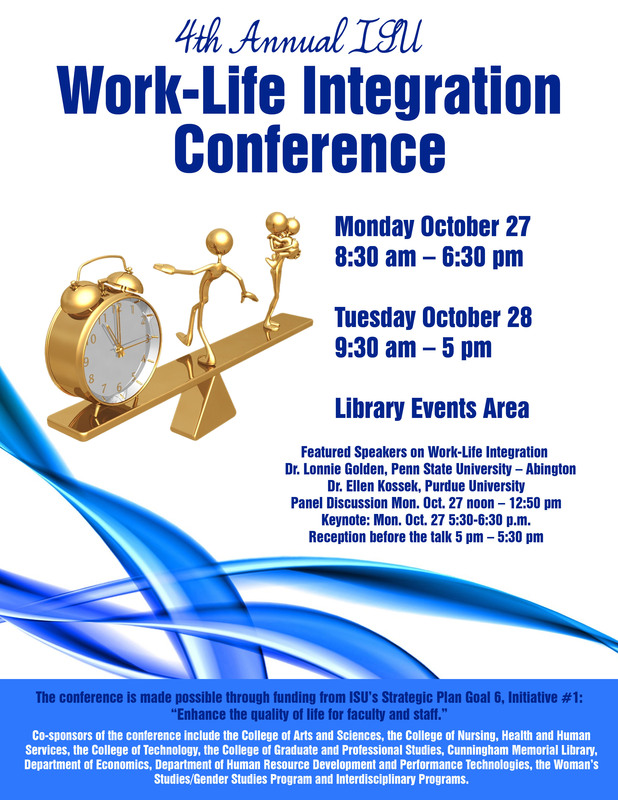 As part of the 4th Annual ISU Work-Life Integration Conference, we are pleased to offer the opportunity to participate in a workshop with Dr. Ellen Ernst Kossek on Work-Life Boundaries on Monday, Oct. 27 from 9 – 11 a.m. in Rm 028 in ISU’s Cunningham Memorial Library. The workshop is open to faculty, staff, and graduate students. Registration will be limited to the first 25 registrants on a first come first serve basis. To register please send an email to Barbara.McNeill@indstate.edu. Registrations received by Oct. 13 will have highest priority. You will receive a link from the center for creative leadership for a pre-training assessment to complete before the workshop. As many overwhelmed professionals have already discovered for themselves, it’s a myth that it is always easy for busy professionals and scientists can achieve perfect balance between their work and personal lives. The Work-Life Indicator, a validated assessment tool co-developed by Dr. Ellen Ernst Kossek, Basil S. Turner Professor of Management at Purdue University and the nonprofit Center for Creative Leadership, is a tool to help faculty, staff, and work units develop strategies to improve how to manage time and energy with rising E- work and 24-7 availability. The workshop is made possible through funding from ISU’s Strategic Plan Goal 6, Initiative #1: “Enhance the quality of life for faculty and staff.” Sponsors include College of Arts and Sciences, College of Nursing, Health and Human Services, College of Technology, Dept. of Economics, Dept. of Human Resource Development and Performance Technologies, Interdisciplinary Programs, the Faculty Center for Teaching Excellence and the Cunningham Memorial Library. 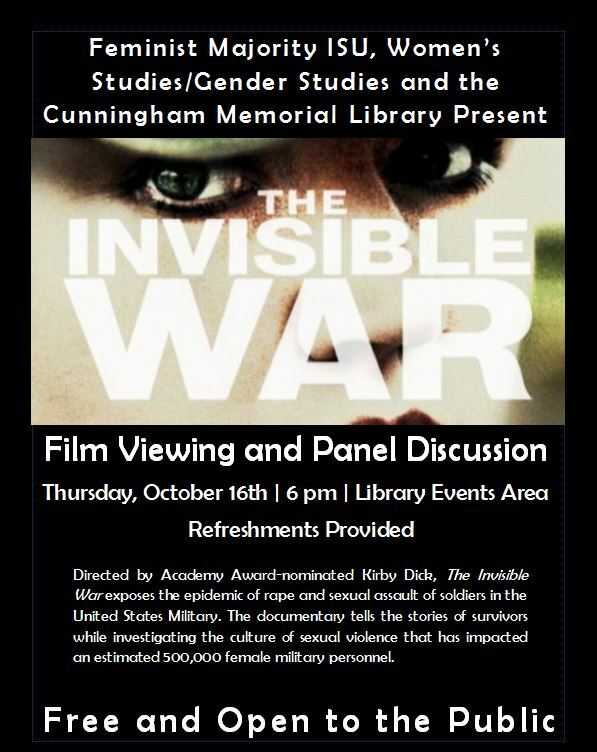 The Invisible War, an award winning documentary film about sexual assault in the American military, will be shown in the Library Events Area from Thursday, October 16, 2014. Sponsored by the Feminist Majority, Women’s Studies/Gender Studies and the Cunningham Memorial Library. This is the second year in a row that the film has been shown on campus. The problem still exists. Fiscal Year 2012 – Volume 1 –729 pages!